If you are a British citizen and you find yourself in Canada with an expiring British passport, you might want to renew your passport right away. You can leave Canada and travel to Europe because it is much easier to travel in Europe with a United Kingdom document. However, you may not be able to leave Canada right away and you just have to renew your British passport in Canada. 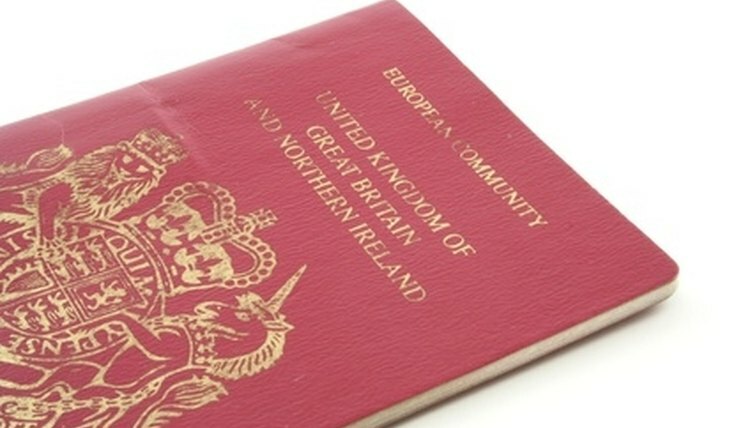 The rules for renewing British passports have changed in recent years, and have become more strict. Visit the website of the UK Passport Service for the Americas and Caribbean. They are the only office that issues passports to British nationals living in Canada and in America. Carefully read the new requirements for photographs, and download the Identity and Passport Service Guide, as the system now uses facial biometrics for passports. Find an acceptable photographer with experience with the standards for passport pictures, and have your picture taken. Fill out the all the application forms. You are also required to write your initial in every line labeled "please initial here" on the form. Check your filled out application form to make sure all the information is correct and you did not miss anything. Your passport renewal may be rejected if you are not able to fill out the forms completely. Prepare the necessary documents you need to submit to renew your passport. Together with your application form, you also need to submit your old passport and the two required passport photographs. You should also countersign one of the passport photographs. Submit the application form and all the requirements to The UK Passport Service for the Americas and Caribbean British Embassy in Washington, DC. Send your application through a registered courier service to ensure that your applicationarrives safely. Pay the processing fee for renewing a British passport. You can pay the fee through credit card, money order or banker's draft. The fee must be made payable to the British Embassy Government Account. Wait for your renewed passport. The UK Passport Service for the Americas and Caribbean will mail your passport 4 weeks after you send your application. UK in the USA: Applying for a passport through the UK Passport Service for the Americas and the Caribbean. Raphael, Michelle. "How to Renew a British Passport in Canada." , https://legalbeagle.com/6362755-renew-british-passport-canada.html. Accessed 26 April 2019.